207102 passes Kingsnorth in a brief sunny spell on 25 March 1995 with the 16:22 Ashford to Hastings service. 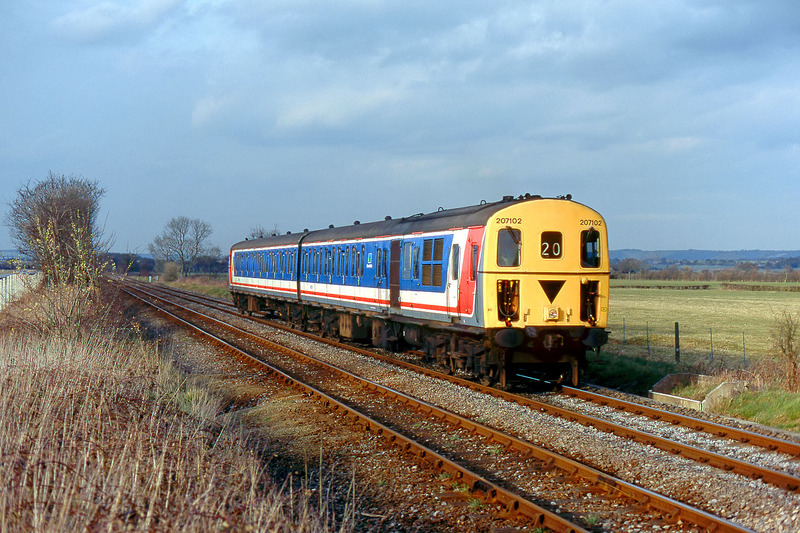 This was during the period of the 'Shadow Franchises', when British Rail was being privatised. The unit still retains the Network SouthEast colour scheme, but that sector had ceased to exist the previous year, and the route was now being operated as Network South Central. This was taken over by Connex South Central the following year.